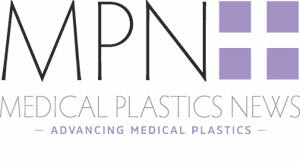 Medical Plastics News takes a look at some of the biggest stories that have emerged over the past week. Senior doctors in England have called for a public enquiry into the use of vaginal mesh devices after women affected by the products met with MPs in Westminster. Around 60 women met with MPs in Westminster earlier this week. Thousands of women are reported to have been affected by the devices. Labour MP Owen Smith, who has campaigned against the devices, hosted a meeting with the women. Smith said: “I am deeply concerned that so many women have experienced profound, life-changing complications after mesh surgery. Women who have undergone the surgery invariably say they were advised that this was a simple operation, with little accompanying risk. But for too many, mesh implants have been the cause of chronic and debilitating pain. This issue must be more widely known and discussed." In Australia 700 women have taken legal action against Johnson & Johnson subsidiary Ethicon, a well-known maker of the devices. According the Guardian, Johnson & Johnson tried to stop a report being published about the devices. The report showed that the Johnson & Johnson mesh products should only be used in clinical research until a trial had been completed. At this point in time the devices had been on the Australian market for two years. Johnson & Johnson feared that the report could have a major impact on its business if made public. Concern was raised by Johnson & Johnson's subsidiary Ethicon. Meeting minutes showed in court detailed Ethicon stating that work was needed to "stop the publication". The women are alleging that Johnson & Johnson did not adequately test the device and failed to warn patients and surgeons of the risk. The government has announced £86 million to help increase the uptake of medical technologies and novel medicines on the NHS. The funds will be rolled out over the next three years and businesses will be able to bid for funding to help develop new technologies and medicines. £6 million is being set aside for the Pathway Transformation Fund which is intended to held NHS organisations integrate new technologies. The Innovation Agency is being given £35 million to support organisations within the industry develop digital technologies for patients on the NHS. The funding is a step towards the recommendations made in the Accelerated Access Review, which detailed issues faced by the NHS and the benefits of technology to patients. A diabetic patient was saved from having her foot amputated after a new wound dressing was used. Angela Montes de Oca from Indianapolis believed her foot would have to be amputated after she was told that there were no other options to treat her diabetic ulcer. Refusing to accept the diagnosis, she discharged herself from hospital and sought out the help of Dr Michael S. Miller. Dr Michael S. Miller is a wound clinician piloting KerraCel Ag, a wound dressing developed by Crawford Healthcare. The use of the dressing meant that Ms de Oca avoided having her foot amputated and successfully recovered after eight weeks.